Don’t judge a book by its cover. In other words, “don’t judge a vineyard by your first visit”. I did exactly that when I first visited Cana Vineyards and Winery of Middleburg (Middleburg, VA). News about the new vineyard opening across from Chrysalis Vineyards was spreading like wild fire. Former colleagues were escaping the “black hole” that was sucking up Chrysalis and fled to Cana Vineyards. 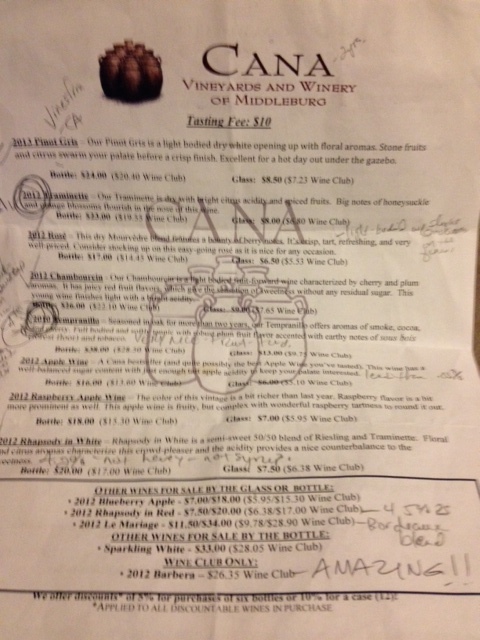 I had to see what the “buzz” was all about and tried my best not to compare Cana to the prominent Chrysalis Vineyards. The tastings were scheduled and conducted outdoors on the patio, like Chrysalis, which I had no issues. The system is organized and customers have the tasting room clerk undivided attention. In my opinion, many vineyards should adopt this concept. We received a tour of the massive tasting room, banquet room, winery and indoor restrooms – A+ for Cana. The word Cana is a biblical reference. Jesus worked his first miracle in Cana of Galilee, turning water into wine. 1 On the third day a wedding took place at Cana in Galilee. Jesus’ mother was there, 2 and Jesus and his disciples had also been invited to the wedding. 3 When the wine was gone, Jesus’ mother said to him, “They have no more wine.” 4“Dear woman, why do you involve me?” Jesus replied. “My time has not yet come.”5 His mother said to the servants, “Do whatever he tells you.”6 Nearby stood six stone water jars, the kind used by the Jews for ceremonial washing, each holding from twenty to thirty gallons.7 Jesus said to the servants, “Fill the jars with water”; so they filled them to the brim. 8 Then he told them, “Now draw some out and take it to the master of the banquet.” They did so, 9 and the master of the banquet tasted the water that had been turned into wine. He did not realize where it had come from, though the servants who had drawn the water knew. Then he called the bridegroom aside 10 and said, “Everyone brings out the choice wine first and then the cheaper wine after the guests have had too much to drink; but you have saved the best till now.” 11 This, the first of his miraculous signs, Jesus performed at Cana in Galilee. He thus revealed his glory, and his disciples put their faith in him. The property, forty-three acres, was purchased in January 2011. 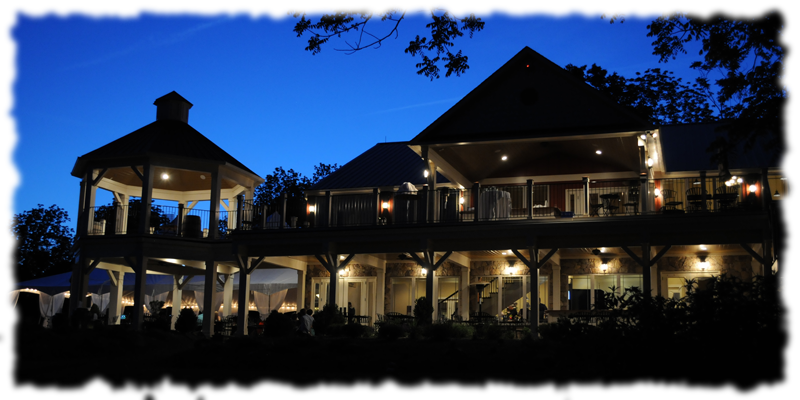 The first grapes were purchased from different Loudon County vineyards and planted in April 2011. Apple Wine – the apples are from a Macintosh farm in Maryland with sweet aromas, sweet and tart finish; 12% residual sugar. Why this was our first wine in the tasting, I had no idea. Next, a Raspberry Apple Wine – apple wine infused with raspberry; a rose. Le Mariage – a combination of their best barrels, 57% Petit Verdot, Merlot…. 2013 Pinot Gris – dry white wine with floral aromas and citrusy with a crisp finish. – STAR. 2012 Apple Wine – Cana’s Bestseller! Blended fruit juices, tart and less than half percent residual sugar. Tasty, but not my “cup of tea”. If apple wine is going to get people interested and hopefully appreciate wine, then produce away. 2012 Raspberry Apple Wine – fruity with a raspberry tartness. 2012 Rhapsody in White – semi-sweet white wine, 50% Riesling and 50% Traminette, floral and citrus aromas, 4.2% residual sugar – not heavy or sugary. GOOD, check mark. 2012 Le Mariage – Bordeaux blend – VERY NICE! 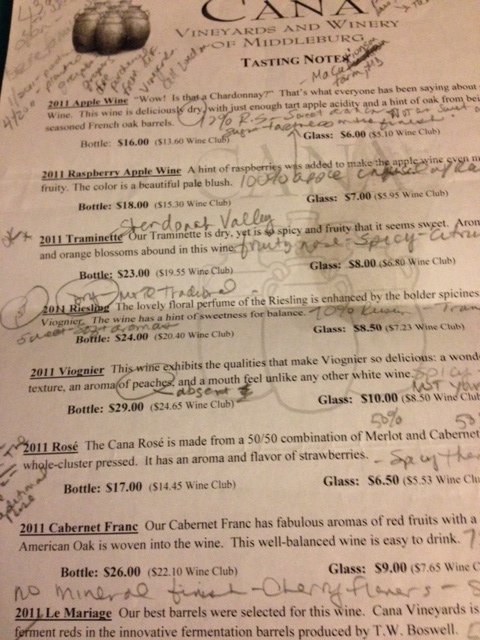 I was so impressed by the wines, I signed up for the wine club. I had to have access to more of the Barbera 🙂.